What type of magnesium is best for children? One of the first supplements I will prescribe for children with all sorts of issues is magnesium. Why do I prescribe magnesium? Magnesium is a relaxing nutrient, so it’s really good for sleep. So if you can give some magnesium, lots of issues will be reduced. About half of all children will be deficient in magnesium. This rises to about 90% of children with ADHD. Children that eat a lot of refined foods instead of whole foods probably aren’t consuming enough magnesium. If your child isn’t eating a lot of these foods, but is instead eating foods made from white flour, they won’t be consuming enough magnesium. Milling whole wheat to make white flour removes 90% of the magnesium. You actually need magnesium stores to absorb magnesium from your food. 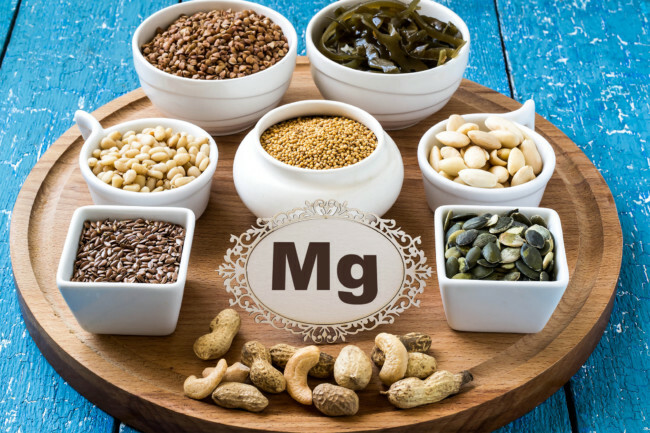 So if your child has been depleted of magnesium because they have been eating a diet not based on whole food, even when you switch to a whole food diet, they will need some supplementary magnesium to help them absorb the dietary magnesium. Australia soils have been depleted of magnesium. Fruit and vegetables will not contain as much magnesium as they did a hundred years ago. Magnesium absorption in the body is reduced when there is a lot of salt, sugar, soft drinks, stress, or thread-worms. If your child has behavioural issues, or anxiety, they will be under prolonged stress, and their magnesium stores will reduce. Similarly if your child has recurrent thread-worms, the little critters will be taking some of the magnesium for themselves! ADHD medication will actually leach magnesium from your child’s body, leading to reduced magnesium stores. When I see a child who is on medication for their ADHD, giving them magnesium can avoid depletion and reduce some of the side effects too. If your child has a grain heavy diet (as most kids do, this will be reducing their magnesium absorption. How can I tell if my child is low in magnesium? If your child gets muscle aches, cramps and spasms, they may be low in magnesium. Sweating will deplete magnesium, so if your child takes part in sports, it is a good idea to give them some magnesium to avoid the cramps and spasms. Is your child hyperactive? Magnesium is a calming nutrient, so if your child tends towards hyperactivity, magnesium might be low, and a supplement will help them calm down. Does your child have anxiety or depression? Anxiety causes you to wee out more magnesium, so your child will get low in magnesium, which will in turn lead to more anxiety. Magnesium takes part in 300 different enzyme reactions in the body. So most of the biochemical processes in your body require magnesium. If your body doesn’t have enough magnesium, lots of processes won’t work properly. It is important for blood sugar regulation. If your child can’t regulate their blood sugar well, their mood will be erratic, and their concentration will be poor. It’s important to make neurotransmitters. These are the chemicals in your brain that send messages between brain cells. If you have low magnesium, you will have imbalanced neurotransmitters. That is why it is so good for mental health. What sort of magnesium is best? There are lots of different forms of magnesium in supplements. Magnesium glycinate, magnesium citrate, magnesium gluconate, magnesium L threonate and more. Magnesium L threonate has some good research about ADHD, however it is harder to find and more expensive. The main thing to remember is to avoid magnesium oxide, as it is poorly absorbed. The only time you may want to use it is if your child is really constipated. How much magnesium does my child need? This depends on lots of factors such as age, and how much is coming from the diet, so best to work with a nutritionist to determine how much is best for your child. When will I start to see improvements? You do need to be patient with magnesium. It might take 2-3 months to get the benefits you want. So keep taking it every day for 3 months before you make a decision if it is working or not. If you would like help to change your child’s diet to a whole food diet, and work with me to determine what supplements your child needs, join my online program: Create Cool, Calm and Cooperative Kids. Sleep issues are one of the frequent issues I see in clinic. Having a child who can’t sleep steals parents of their ‘grown-up time’ in the evening, and leads to cranky children in the morning. Parents will frequently spend thousands of dollars on sleep trainers. This will certainly help with some behavioural issues. But if the issue is biochemical, all the sleep training in the world won’t help, and will just lead to a lot of stress for parents and child. The next thing that people might do is a sleep study. This is where you go to a centre for a night, and your child is wired up to a machine to monitor their body as they sleep. This can diagnose issues such a sleep apnoea or periodic leg movement disorder. Having this information can be interesting, and you get a firm diagnosis, but it does little to solve the problem. 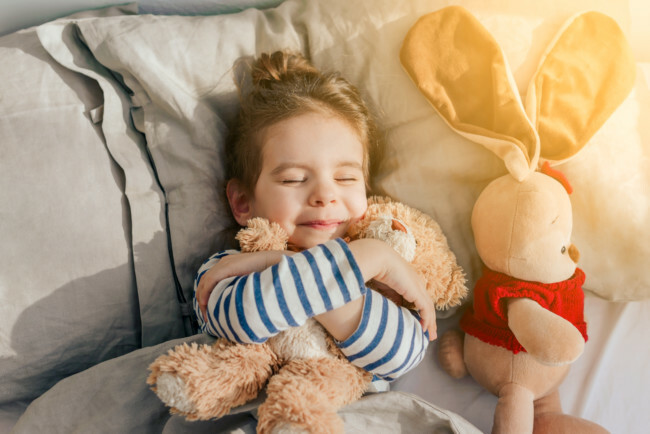 Getting to the root cause of the sleep issues will help the child’s sleep, but will probably also help in other areas of their life to, as poor sleep is just another symptom. What does sleep do to your body? Sleep is very important for adults and children alike. When we sleep our body has a chance to restore and heal itself, on a physical and emotional level. Bodily processes like metabolism and detoxification are regulated by sleep. Our immune system is bolstered by sleep. Learning and memory are consolidated by sleep. When should babies sleep longer at night? With newborns, sleep can be erratic, but by 4-6 months a regular sleep-wake cycle should have emerged. 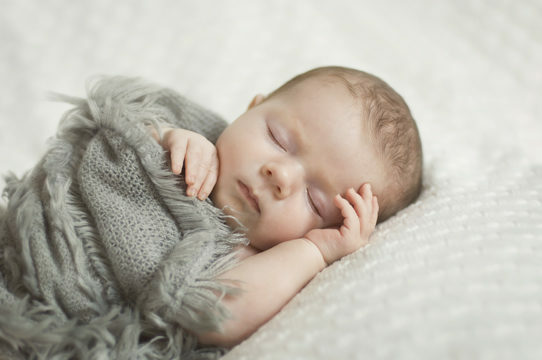 In an ideal world, 6-8 month old babies should be sleep close to 12 hours at night, without a break. If this isn’t happening then there are a few areas to trouble shoot. Why won’t my baby sleep through the night? They could have food sensitivities which are irritating them, either through the foods they eat, or what the mum eats if breastfed. Some babies will still be suffering from colic at this age. There are probiotics which are scientifically proven to help with colic. Poor gut health – not enough good bacteria can effect sleep. Perhaps due to taking antibiotics, or reflux medication. After-effects of birth trauma can lead to residual sleep issues. Sometimes the easiest thing to do at this point is give them a dummy, but this can be counterproductive. Dummies can lead to poor growth of the tongue and palate, which causes mouth breathing, snoring, sleep apnoea and tonsillitis. The sucking action of breastfeeding however produces a better shaped palate. Will my child ever sleep? Once children are at primary school you would hope that sleeping would be a ‘dream’ however this is definitely not the case! Lots of sleep disorders can present at this age. I talk about some of the more common ones below, and how natural therapies can help with them. This is a common issue with children. It can be related to stress, anxiety, constipation, sleep apnoea or enlarged tonsils. Sitting on an adult toilet means that children can’t completely relax their pelvic floor muscles, which can lead to constipation and urinary tract infections, which lead to bedwetting. It is also caused by neurotransmitter imbalance (see below). If you child wakes with a headache or sore jaw, they may be grinding their teeth. Your dentist will also be able to tell you if it is happening, as it damages their teeth. And if you co-sleep, you will be able to hear it too. Things to consider for teeth grinding are intestinal parasites, nutritional deficiencies, anxiety, neurotransmitter imbalance (see below) and allergies. These will happen in 10-50% of children. They usually happen in the second half of the night. The child will remember it, and be too scared to go back to sleep. Addressing stress and anxiety and giving some supplements can help. These are different to nightmares. They usually happen early in the night. The child will be crying or screaming, and be inconsolable. It is awful to watch, but the child will not remember it. Supplements to calm the nervous system can help, as will some gentle liver detoxification. There may be some obvious signs this is happening, such as sleeping in an unusual position, and sweating a lot during the night. The child will be unsettled and wake up a lot. They may wet the bed, have nightmares or night terrors and chronic runny noses or ear infections. During the day they will be inattentive and drowsy at school. This can lead to hyperactivity, irritability and aggressiveness. Some children who snore will have sleep apnoea, but not all of them. If your child snores, you should consider that their airway is being narrowed. The reasons why the airway might be narrowed include enlarged tonsils, allergies and obesity. Sleep apnoea can also lead to obesity as the child tries to get energy from food that they should be getting from sleep. Restless legs or periodic limb movement disorder in sleep. Children with ADHD are more likely to suffer from this. It can also be due to an iron deficiency, which you need to have a blood test for. Supplementing with iron is not a good idea unless you know how much the child has to start off with. Exercising during the day can help some people, as can a foot massage or meditation before bed. Nutrients such as magnesium and a low sugar diet will help. Difficulty getting to sleep (initiating sleep). This is the problem I see most, at home, and with clients. Taking all electrical equipment out of the bedroom, and checking what is on the other side of the wall also. Circadian rhythm is your body’s internal body clock, which tells you when it is time to go to bed at night, and get up in the morning. Melatonin is a hormone which is important for your circadian rhythm and is made from the neurotransmitter serotonin. So you need to have enough serotonin, and a good supply of the vitamins and minerals to convert serotonin to melatonin. Taking a melatonin supplement just takes a steam roller over the body’s natural biochemical process, and jumps right to the last step. It is better to get all the neurotransmitters and vitamins correct, so your body can make its own melatonin. Too much light will disrupt circadian rhythm and sleep. Ipads, TV, night lights can all cause problems for kids sleep. Dimming the lights in the evening and turning off devices will help with sleep initiation. What does gut health have to do with sleep? There are several ways that gut health can effect sleep. There is two way communication between the gut and the brain. That is why gut health is linked to anxiety, ADHD and autism. These three conditions can impact sleep. So improving gut health will improve sleep in people with these conditions. For people without anxiety, ADHD or autism, the gut brain connection will still be important. Having healthy bacteria in your gut will mean a better night’s sleep. Having an irritated gut lining will cause abdominal pain, which will impact sleep quality. Gut microbes also help us to make serotonin, which is needed to make melatonin. Poor gut health makes it more likely that candida infection can take over. Candida effects the kidneys, which disrupts sleep. It produces acetaldehyde which can cause sleep disturbances. It causes inflammation which can cause sleep apnoea. How can a nutritionist help with sleep? There is a urine test (Organic Acids Test) which shows levels of neurotransmitters your child is producing and some nutritional deficiencies. If these neurotransmitters are out of balance, sleep will be affected. For instance, low levels of serotonin will lead to insomnia. Eating foods high in tryptophan such as turkey and bananas will bolster serotonin, as will taking a supplement. This urine test helps pin-point exactly what neurotransmitter is out of balance, so you can target it specifically. Heavy metal toxicity testing is done through hair analysis. Heavy metal toxicity will lead to poor sleep quality, and can be addressed though food and supplementation. You can also test for hormones directly such as melatonin, but these are influenced by neurotransmitters, so you are best to start there. If your child’s sleep problems are stealing your evenings, get in touch with me for a free 20 min chat to discuss if I might be able to help!